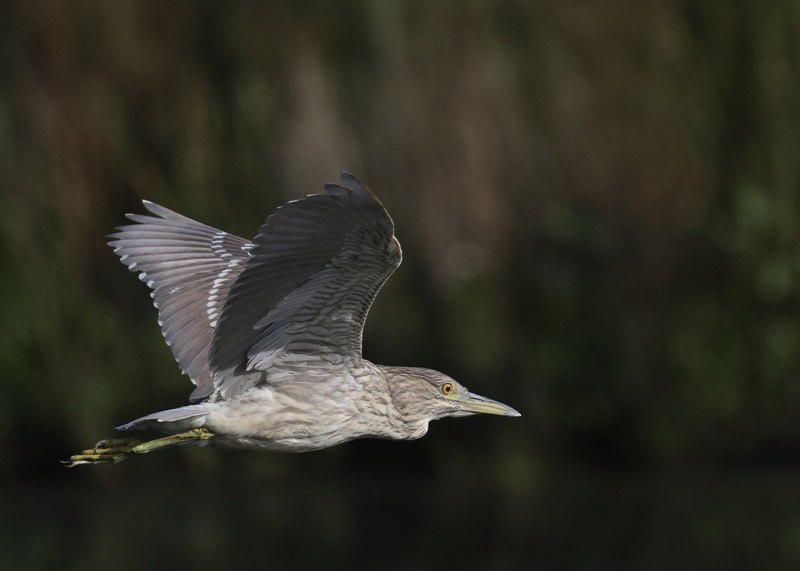 Black-crowned Night-Heron in flight. 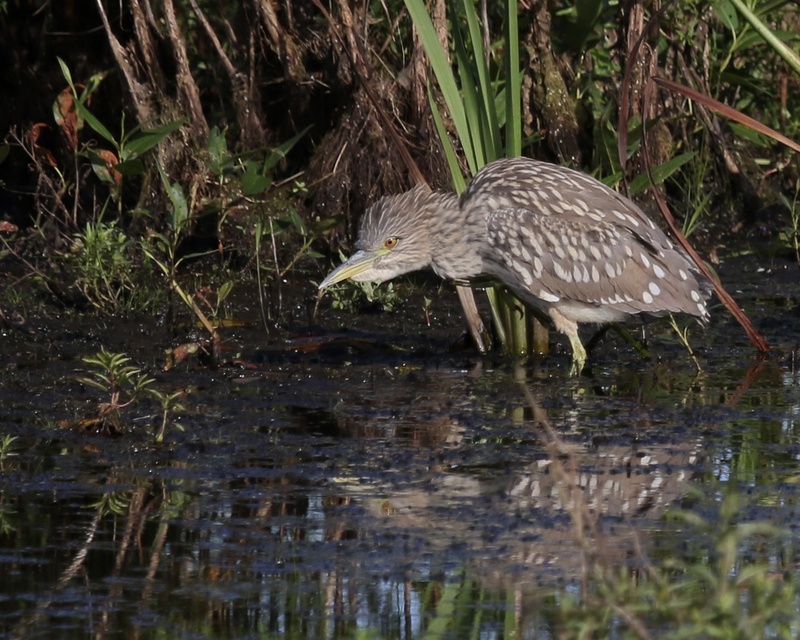 One of four juveniles located at the Wallkill River National Wildlife Refuge, 8/29/14. I got out of work a little early on Friday for the holiday weekend, and I ended up having a really interesting and fun afternoon of birding. The highlight was certainly seeing four juvenile Black-crowned Night-Herons right from the viewing platform at Wallkill River National Wildlife Refuge’s Liberty Loop. 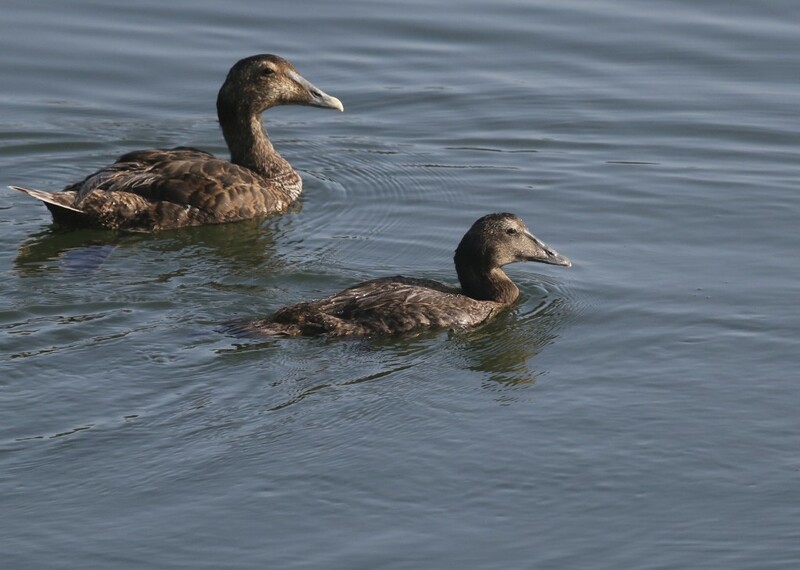 The birds were very close, and relatively active, allowing for some decent photos. I’m not sure how this bird stayed in focus. 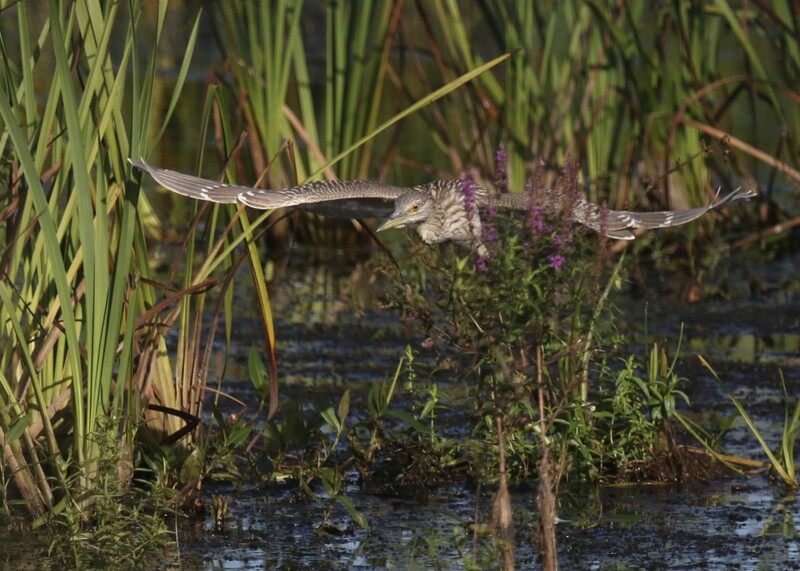 BCNH through the vegetation, Wallkill River NWR, 8/29/14. 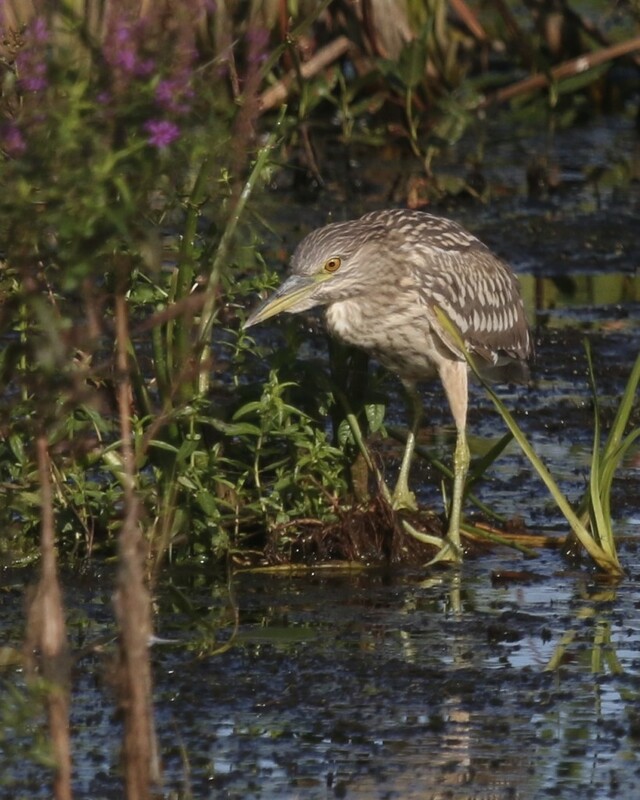 BCNH at Wallkill River NWR, 8/29/14. A Black-crowned Night-Heron shifts position at the Wallkill River NWR, 8/29/14. 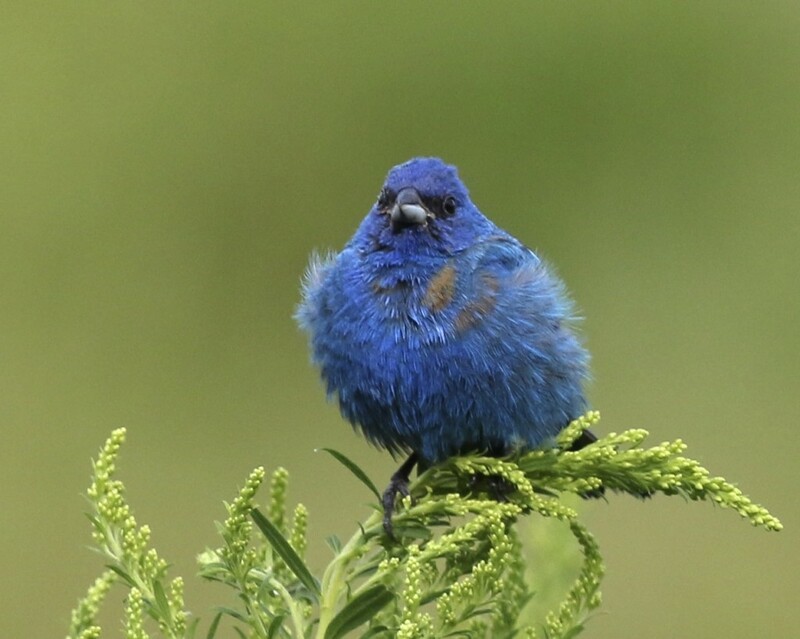 A fluffed up BCNH at Wallkill River NWR, 8/29/14. I didn’t walk the loop that afternoon, I mostly stayed on the platform where I also had a Glossy Ibis in flight, a Northern Harrier and a Merlin tangling, and my first Common Nighthawk in a couple of years. 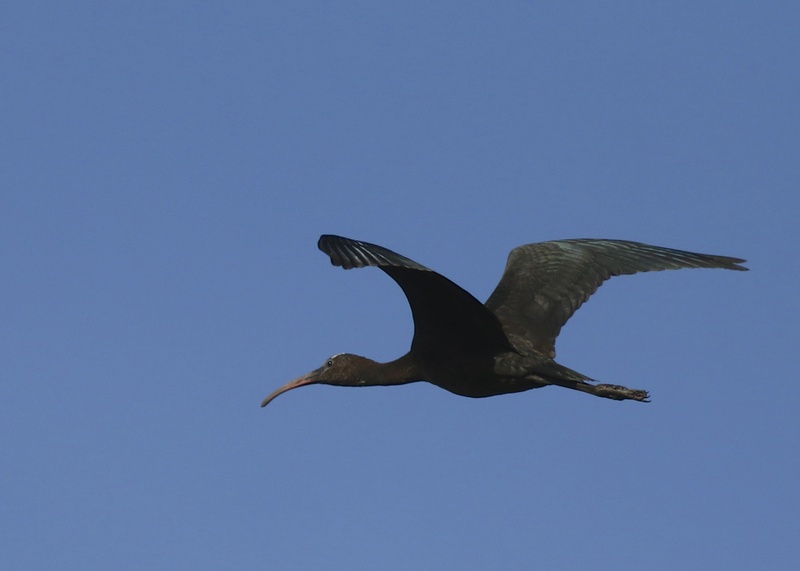 Glossy Ibis flyover, Wallkill River NWR, 8/29/14. A distant look at a Northern Harrier and what I believe is a Merlin. 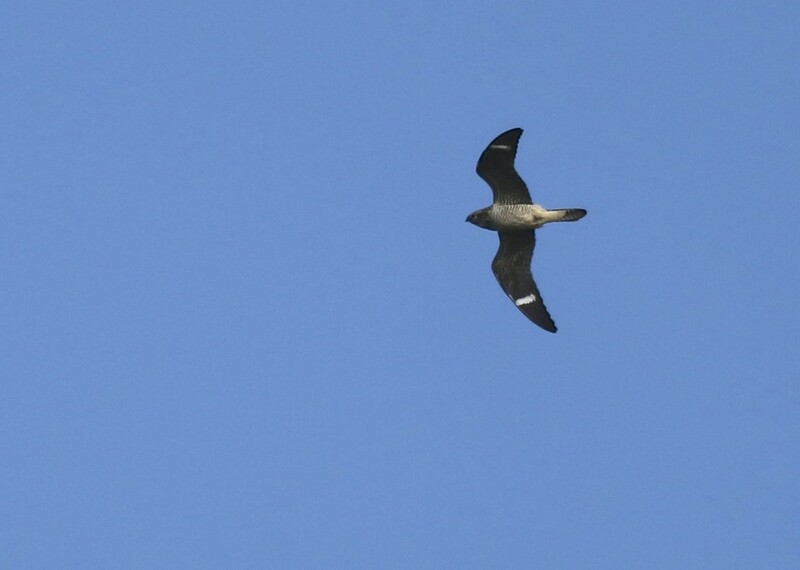 At first I was thinking Peregrine, but the bird seemed too small. 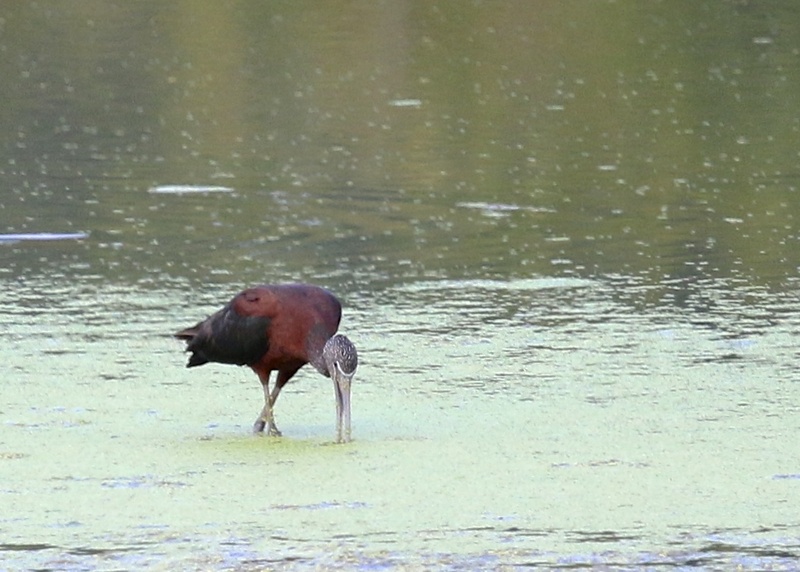 Wallkill River NWR, 8/29/14. This was an exciting bird to see – it had been a couple of years since my last Common Nighthawk. 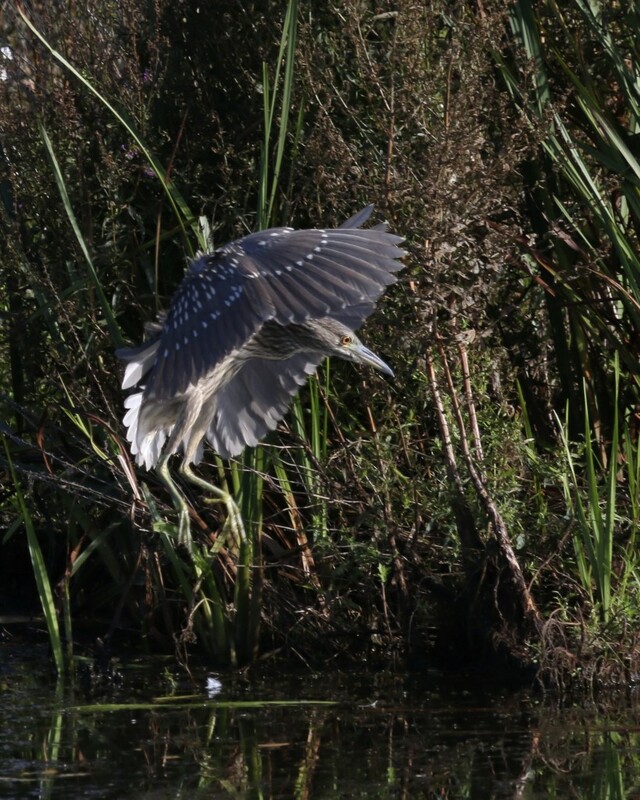 Wallkill River NWR, 8/29/14. Before any of the above happened, I was on my way to the Liberty Loop, passing through Warwick, NY when I saw the leucistic Red-tailed Hawk flying a little low. I found a spot to pull over and got some shots. I have posted this bird before, but any chance I have to take some photos of this bird I will take it. All in all, an interesting day of birding for me, and, of course, so much fun. 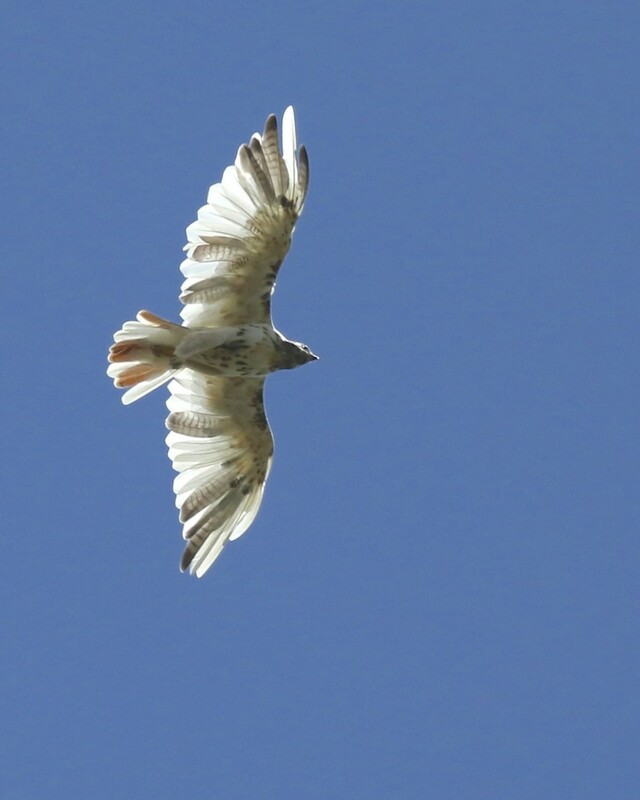 Leucistic Red-tailed Hawk in Warwick NY, 8/29/14. 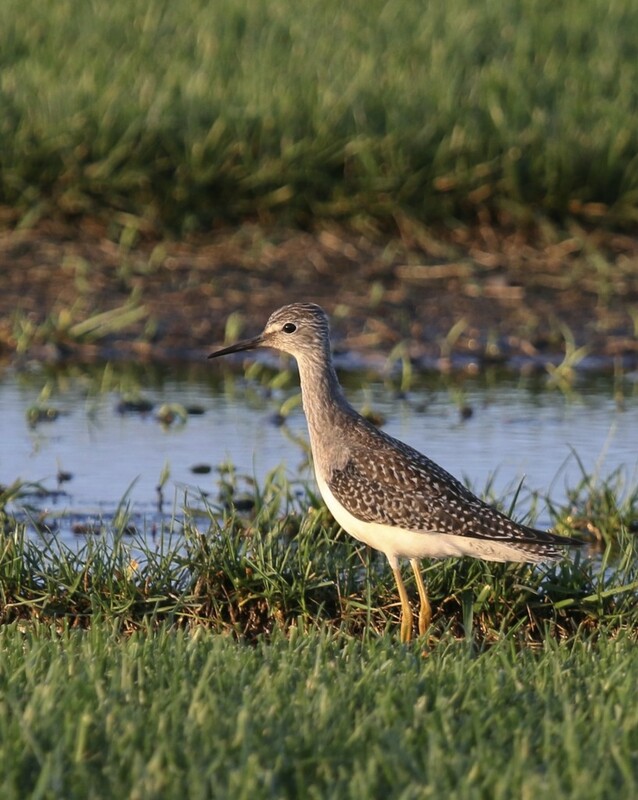 Buff-breasted Sandpiper in the Black Dirt Region, 8/30/14. 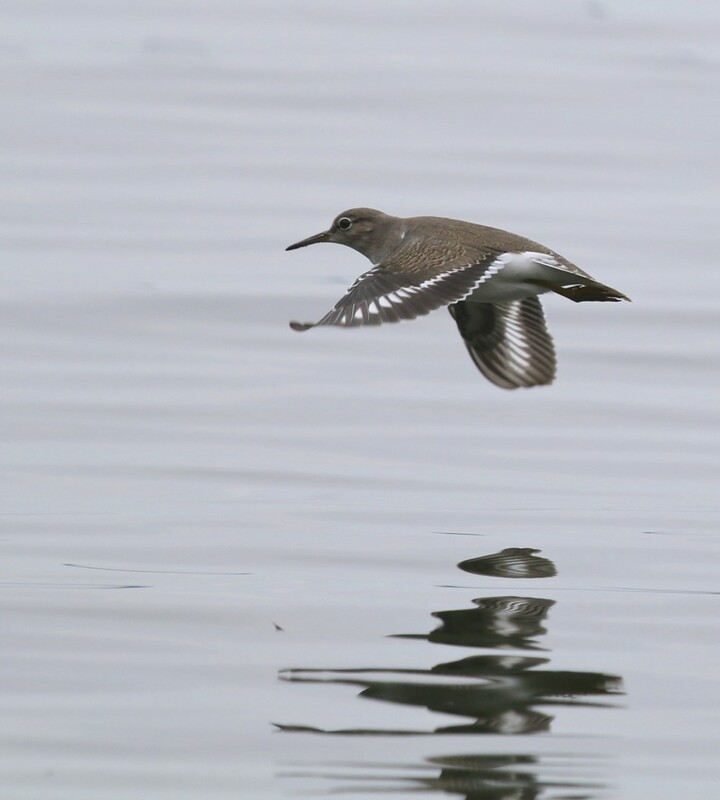 This morning a BUFF-BREASTED SANDPIPER was located in the Black Dirt Region by Jim Schlickenrieder (who I just met for the first time today). Not only that, the bird was moving around the Black Dirt pretty good, and Jim was able to relocate the bird two more times! To me this is pretty incredible, and thanks to his diligence and John Haas alerting me, I was able to see this amazing bird. 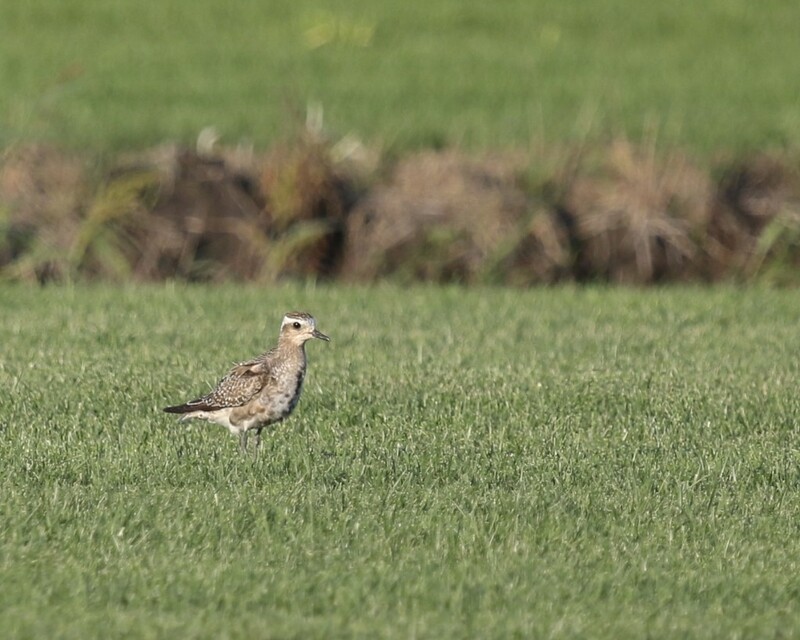 Shortly after parting ways, Jim contacted John again to say he had located an American Golden-Plover. Wow, pretty good morning of birding for Jim! One of nine American Golden-Plovers, Old Warren Sod Farm, 8/28/14. I left work this afternoon with one objective: to scour southern Orange County until I found some new shorebirds. 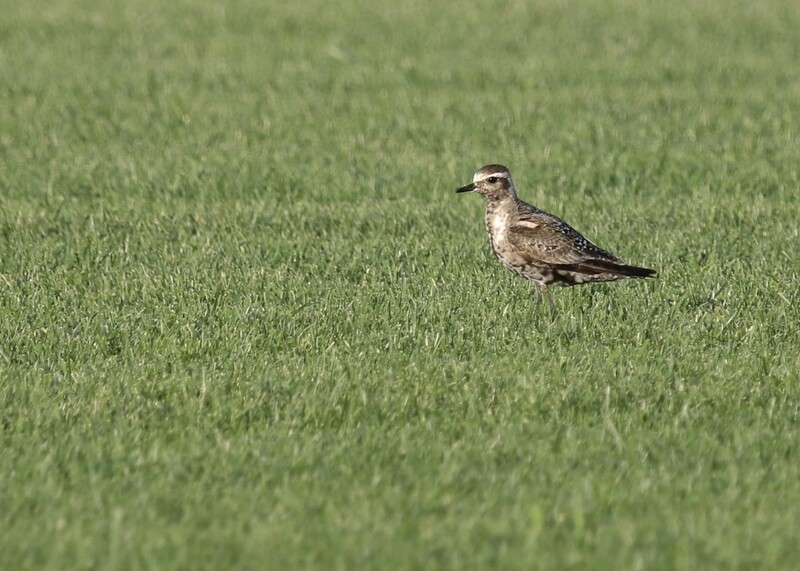 Well, I got lucky, and at my fourth stop, which was the Old Warren Sod Farm, where I located 9 American Golden Plovers. 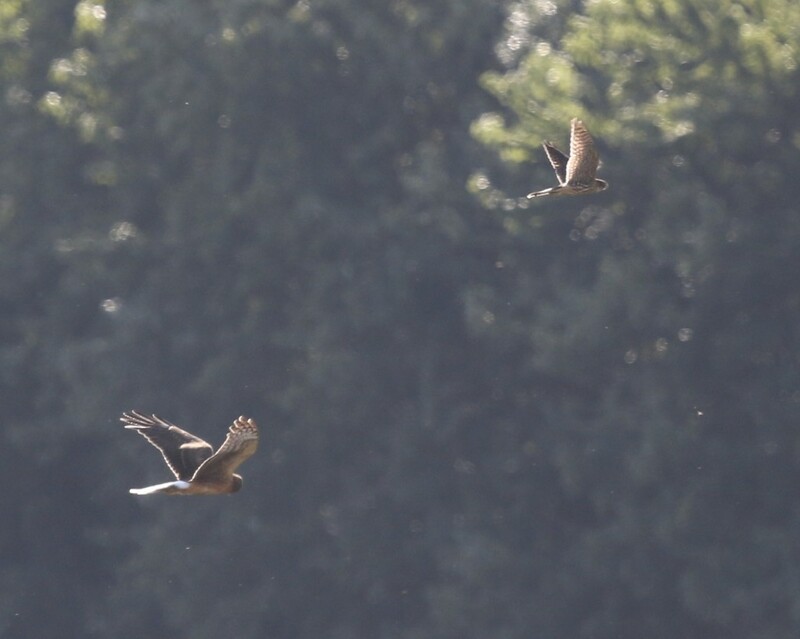 The birds were quite distant and I was struggling to ID them. 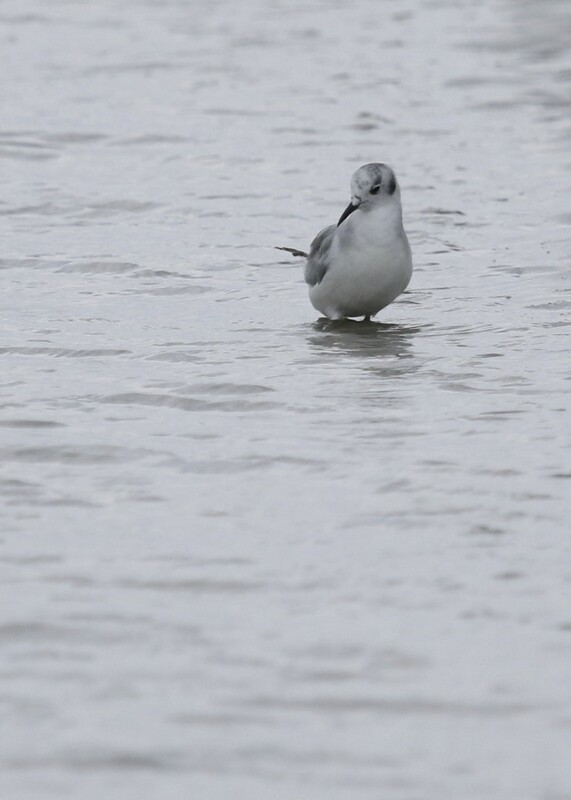 My initial thought was that they were Black-bellied Plovers and it wasn’t until John Haas showed up and the birds took flight that it became clear that they were AMGPs (no black wing-pits). The birds were quite restless and moved around quite a bit and luckily at one point they landed close enough to us for some photos. Linda Scrima also made it out a little later, and though the birds were a bit distant at that point, she got good looks in the scope. Other shorebirds present included: Killdeer (100+), Least Sandpipers (2), Pectoral Sandpiper (1), and Lesser Yellowlegs (1). AMGP at Old Warren Sod Farm, 8/28/14. Lesser Yellowlegs in some nice light. Old Warren Sod Farm, 8/28/14. 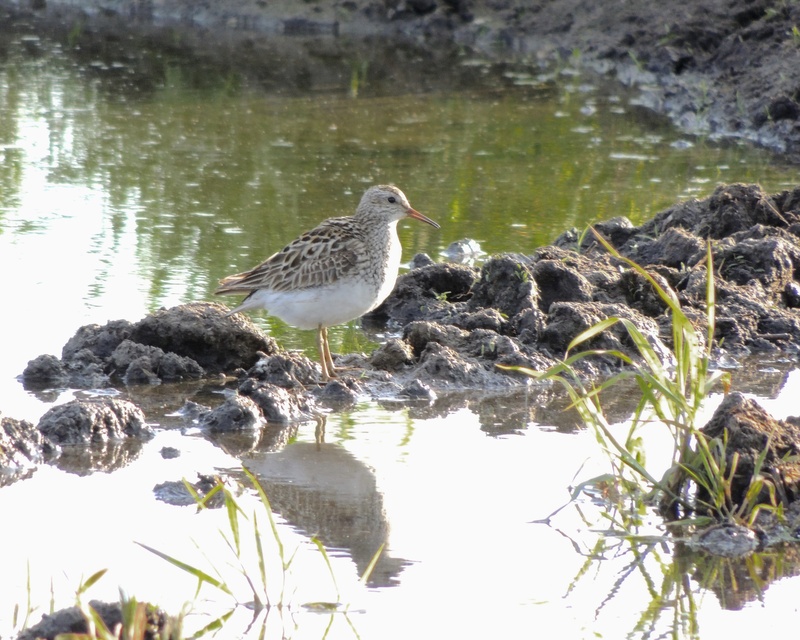 Pectoral Sandpiper at Old Warren Sod Farm, 8/28/14. Photo by John Haas. I had a camera meltdown when John located this Pectoral Sandpiper and was unable to get a shot. Four of the nine AMGPs was the best I could do in one photo. Old Warren Sod Farm, 8/28/14. 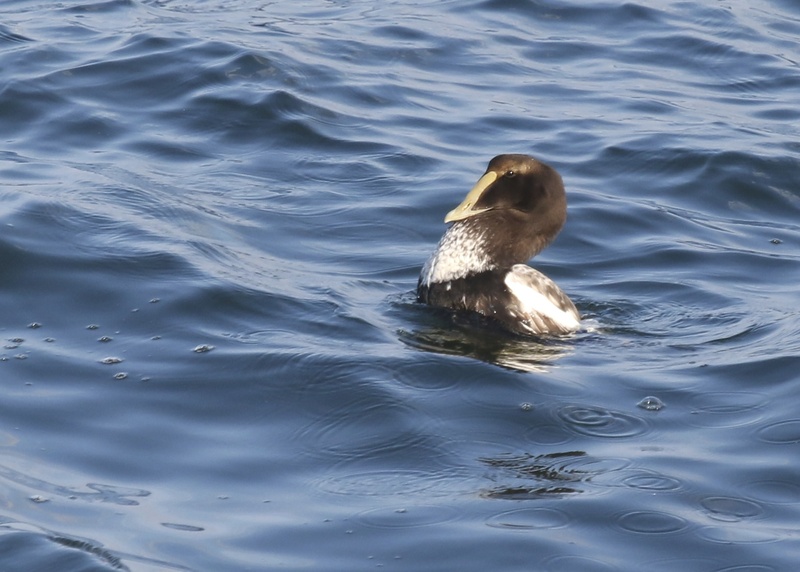 A very relaxed looking male Common Eider at Bar Harbor, Maine, 7/27/14. I finally got through the last of my photos from our trip to Maine. There is no common thread, these are simply photos from the trip that did not fit into any previous posts, but that I wanted to share. 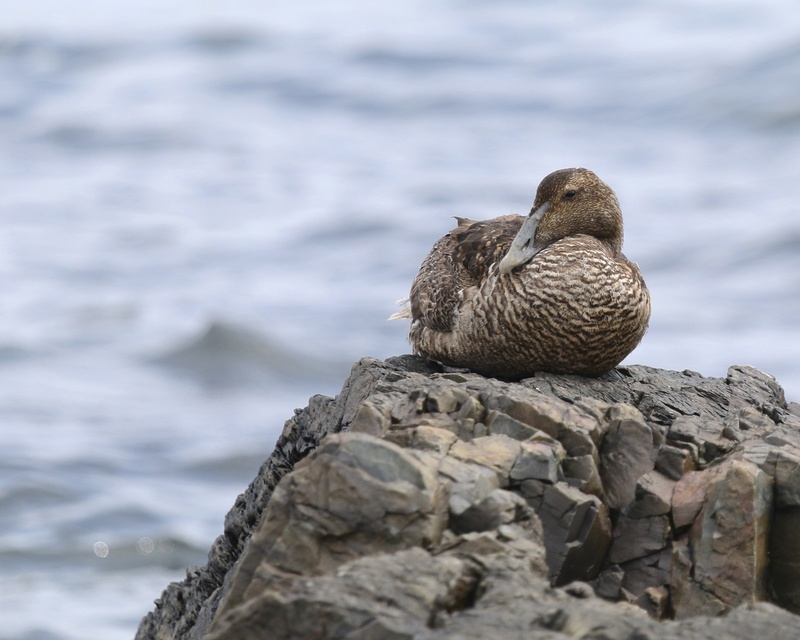 A female Common Eider rests on a rock on the shore. Bar Harbor, Maine 7/27/14. We saw this Common Eider from the Shore Path at Bar Harbor, Maine 726/14. 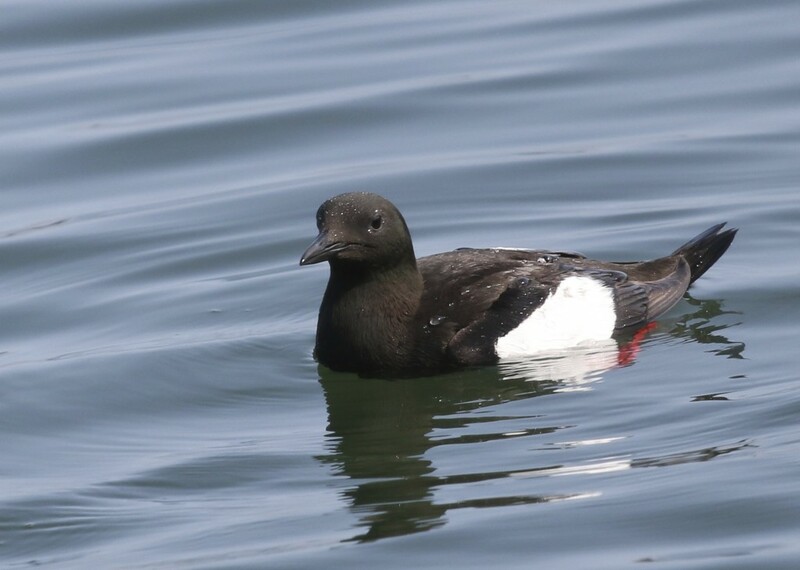 I was happy to discover this Black Guillemot so close to the shore while we where having a delicious meal at Thurston’s Lobster Pound in Bernard, Maine 7/31/14. 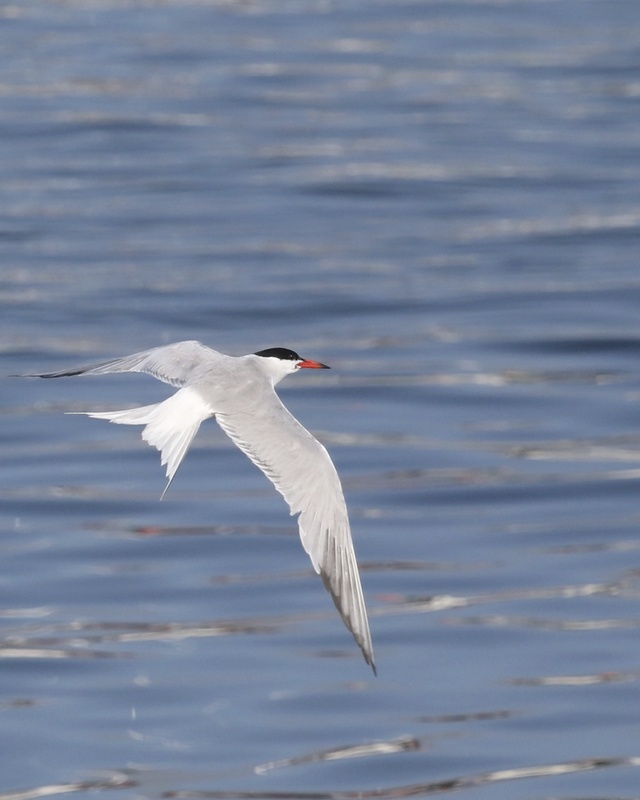 Also seen from Thurston’s Lobster Pound, I love this shot of a Common Tern – it is SOOC (straight out of camera). 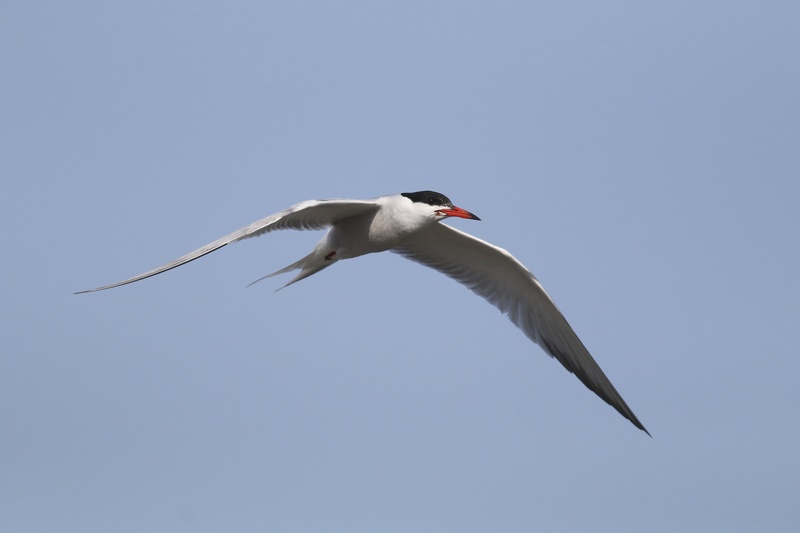 One more Common Tern shot. 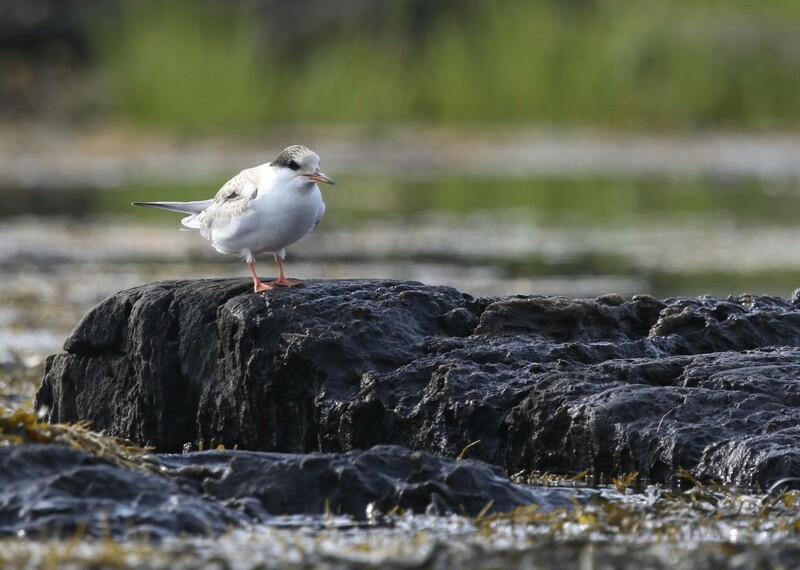 This seems to be a tough bird to get a good photo of, I took a LOT of tern photos in Maine and only a very few were any good. This was also at Thurston’s Lobster Pound in Bernard, Maine 7/31/14. I finally got a puffed up egret shot. 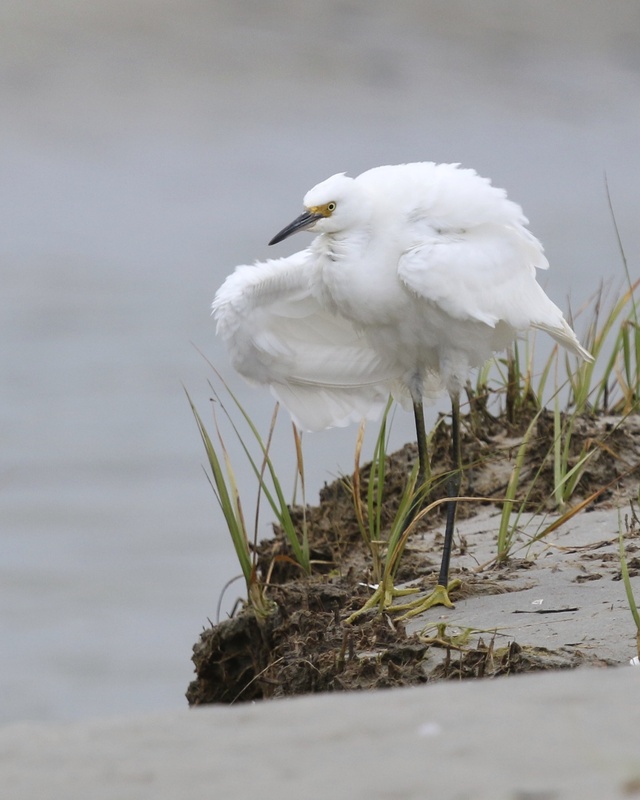 Snowy Egret at Ogunquit Beach, Maine 7/26/14. 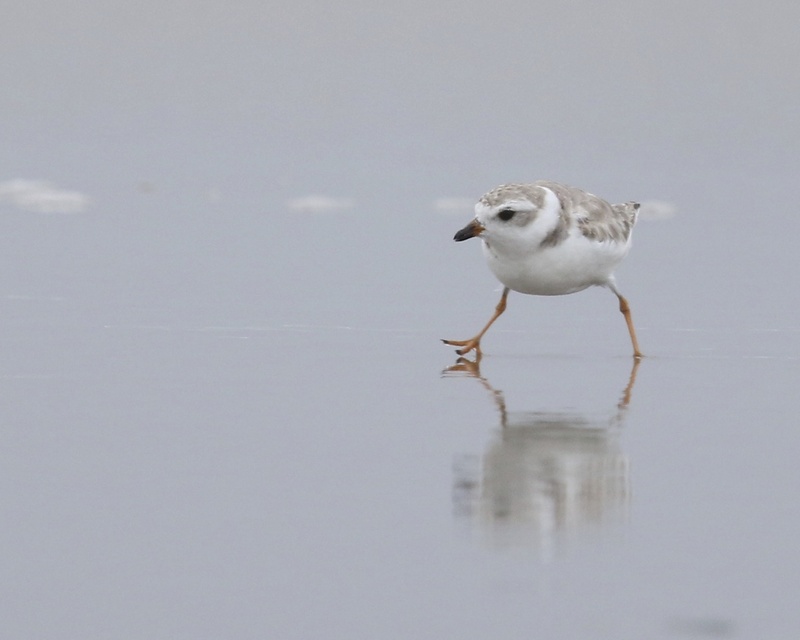 One of six life birds I got during the trip – Piping Plover at Ogunquit, Maine 7/26/14. 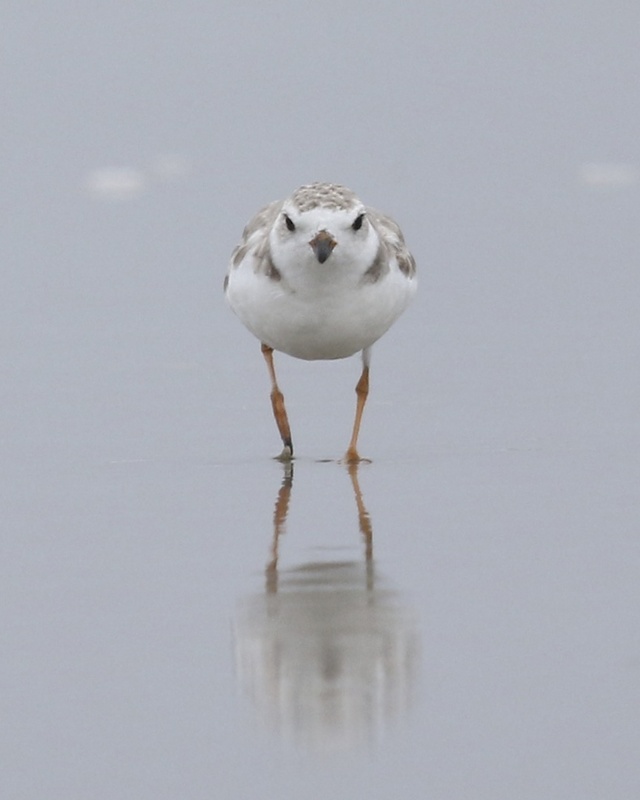 Cute bird – Piping Plover at Ogunquit, Maine 7/26/14. 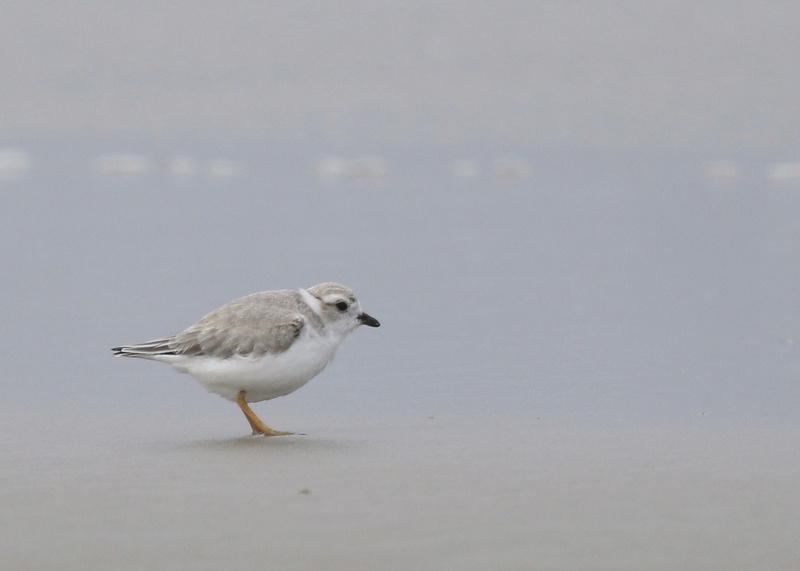 Piping Plover at Ogunquit Beach, 7/26/14. One of my favorites, I happy to finally get close enough for a decent shot. Bonaparte’s Gull at Ogunquit Beach, 7/26/14. Sweet bird. 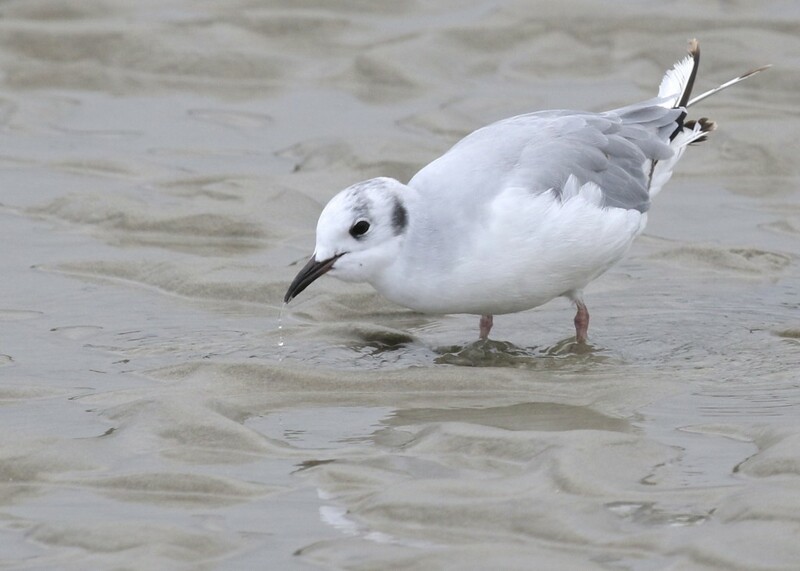 Bonaparte’s Gull in Ogunquit, Maine 7/26/14. On our last day in Bar Harbor we walked a trail near Indian Point, Maine and found a pair of Spotted Sandpipers on the rocky beach. 8/2/14. A Glossy Ibis picks through the small pond south of the Heritage Trail at 6 1/2 Station Road Sanctuary, 8/20/14. So, yesterday afternoon I located an ibis the small pond to the south of the Heritage Trail at 6 1/2 Station Road Sanctuary. Having just had a very good look at the three Glossy Ibis out at the Liberty Loop just last week, this bird seemed a little different to me. 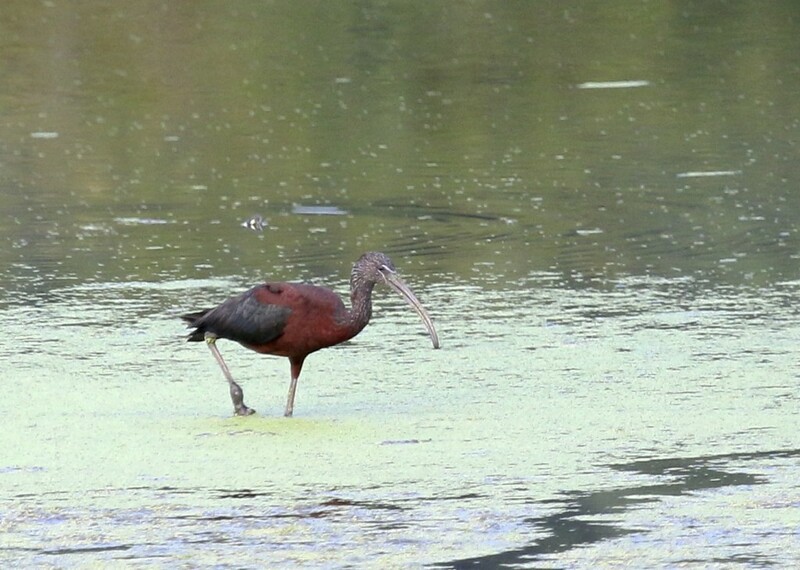 This bird had white at the base of both the upper and lower bill, legs that appeared to be light orange in color (as opposed to the darker legs on the three LL ibis), a much redder overall look that was less iridescent, and to me, the bill appeared to be slightly larger. 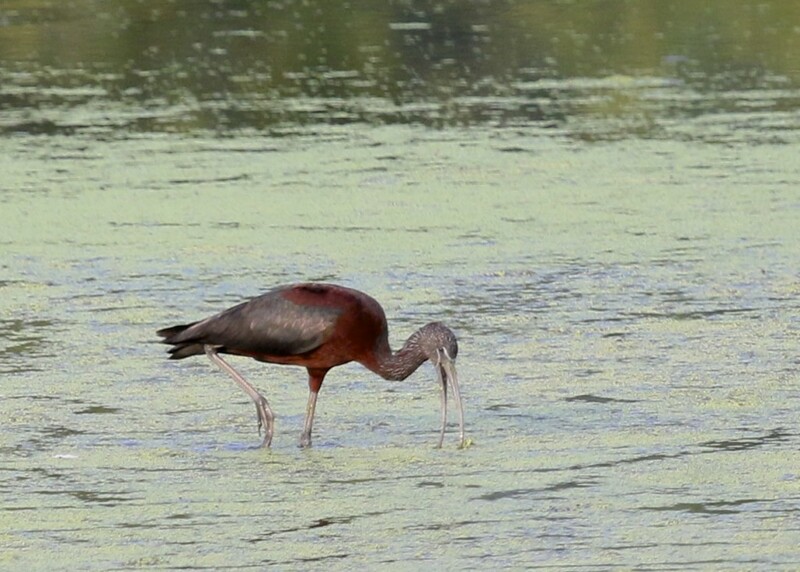 With all this in mind I started to think about the possibility of a White-faced Ibis. I did some quick, inconclusive research on my phone app and then called Rob Stone and John Haas for some guidance. Apparently, both the legs and the facial skin of a WFIB should be red/pink in color, but the key for this ID, was to see the color of the bird’s eye. If the iris was red then it would make it a White-faced, if dark it would be a Glossy. 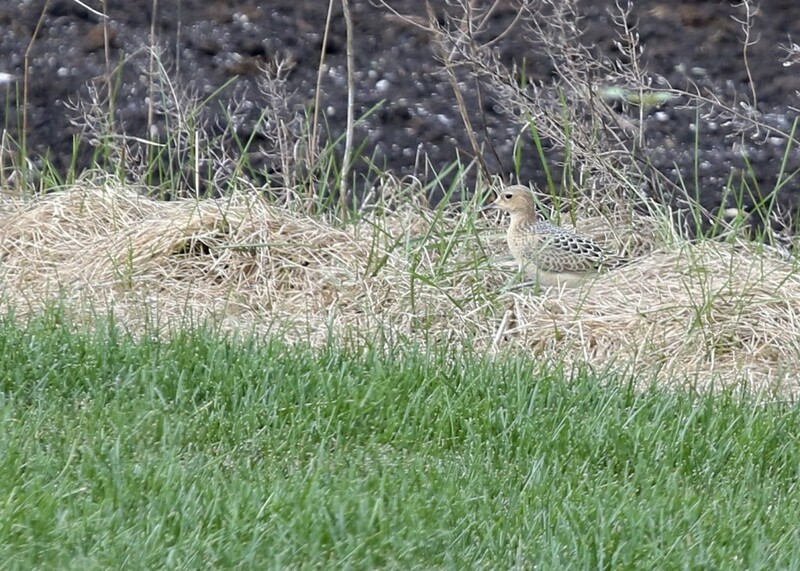 Well, this bird does not have a very large eye, and I was viewing it from just under 150 yards away, which was going to make it difficult to determine. John showed up in no time at all, but by that time, the had bird picked up and move further out by about another 40 yards. Karen Miller, Linda Scrima, Bruce Nott, and Kathleen Ashman had also showed up. We all agreed that the bird was too far to see the eye color. It was getting darker by the minute, so it was decided that John and I would work our way around the pond to get a closer look. When we did so, it was still tough to determine the eye color; I think the setting sun was playing some tricks on us. 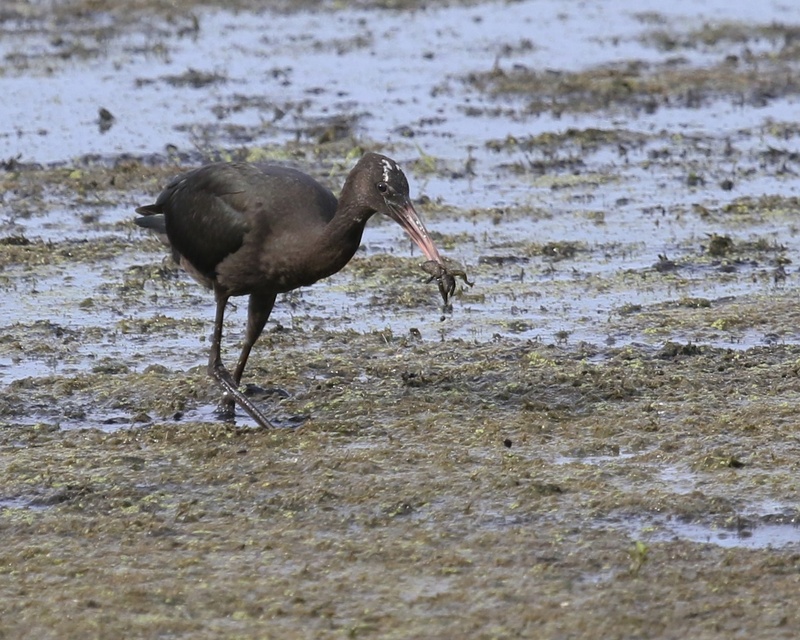 Scotty Baldinger eventually joined us, and not long after that we felt confident that the bird’s iris was not red and the bird was therefore a Glossy Ibis. It was really a fun evening for me, spending time observing such an interesting and beautiful bird and to do so with some great people made it that much better. GLIB at 6 1/2 Station Road Sanctuary, 8/20/14. 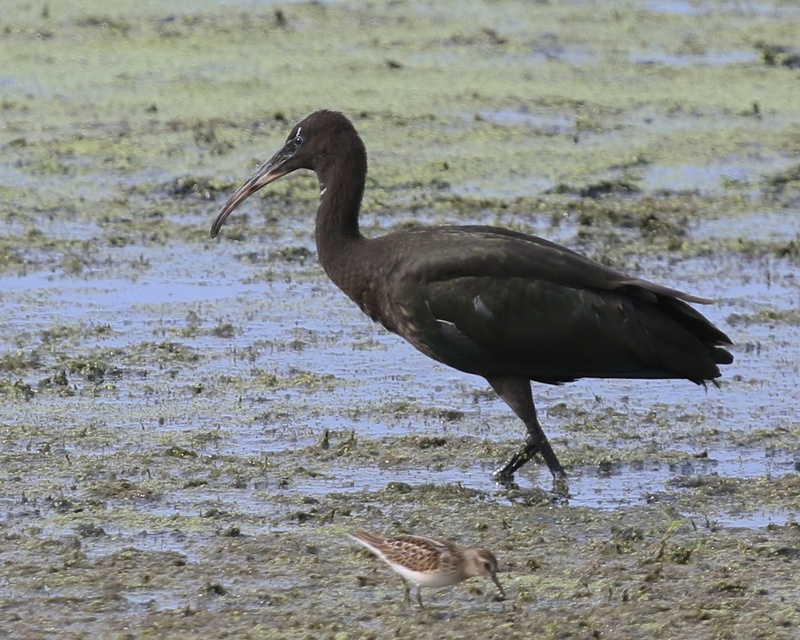 One last thing – John wrote an interesting post about this bird on his blog, and reading it, I learned about another important identifying feature: according to the Crossley Guide, the white at the base of the bill always disappears behind the eye, as opposed to the complete white surround of the White-faced Ibis. This photo shows that the white does not continue behind the eye. 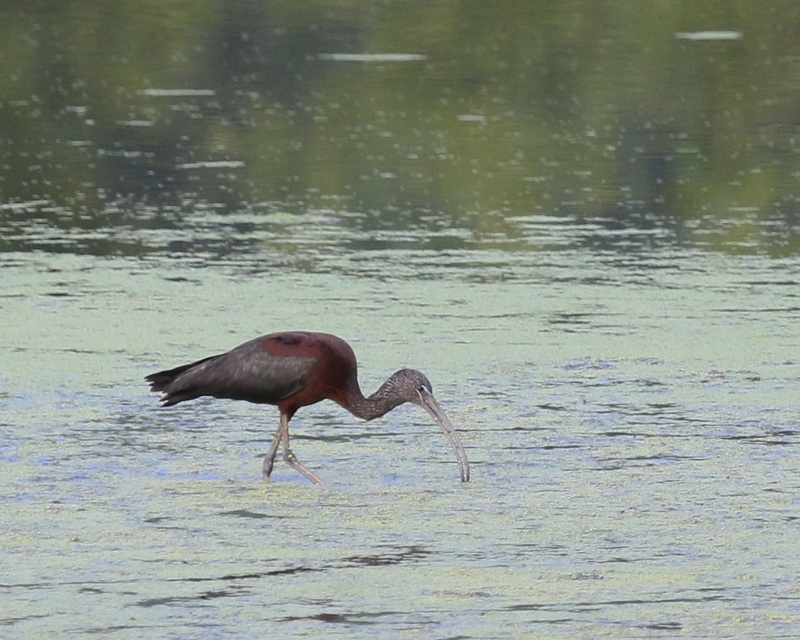 Glossy Ibis at 6 1/2 Station Road Sanctuary, 8/20/14. 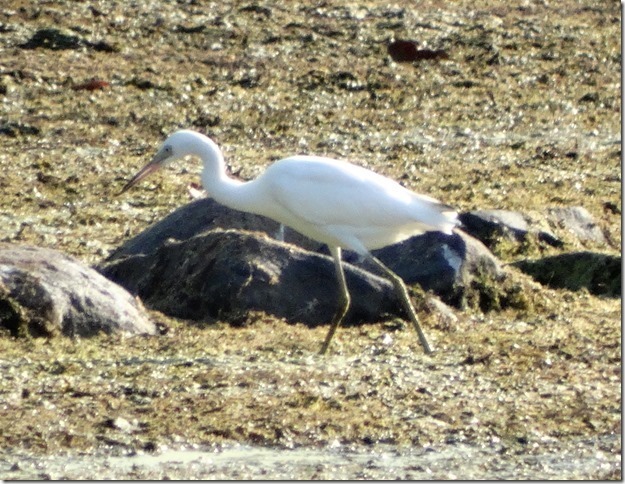 I did not strike out two days in a row with the Little Blue Heron located in the pond near the intersection of Routes 302 and 17K in Bullville NY, 8/20/14. 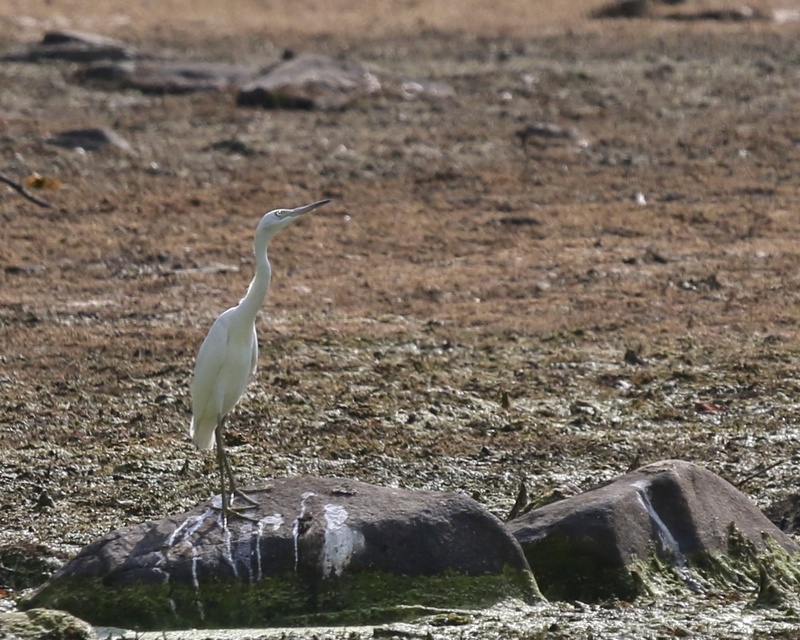 It was an eventful afternoon of birding; before I went to 6 1/2 Station Road Sanctuary, I went for the LITTLE BLUE HERON in Bullville again. This time I did not come up empty handed, the bird was easily located and though it was little far out, I got great looks in my scope and the photos were not too bad. This bird had a lot of personality to me – if I was a little closer (and it wasn’t backlit), I could have had some nice photos for sure because the bird kept striking interesting poses. 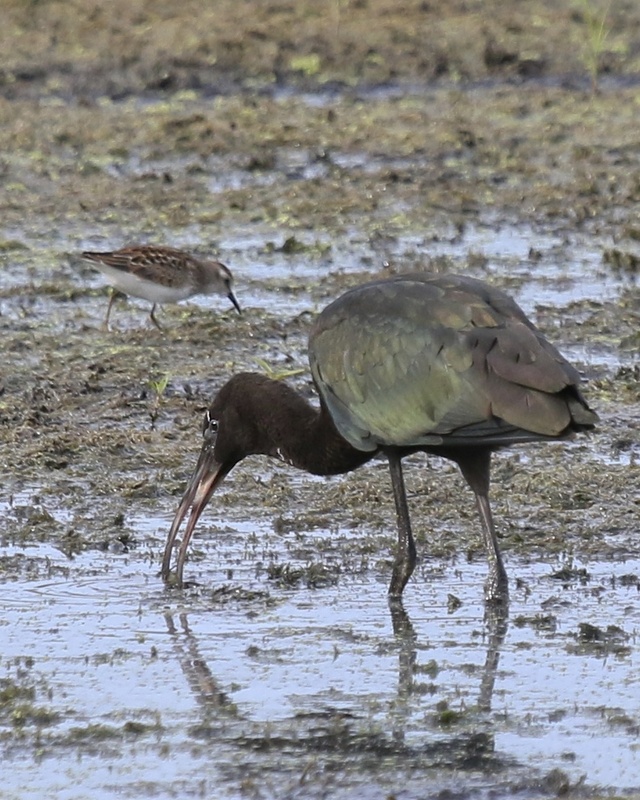 Glossy Ibis, 6 1/2 Station Road Sanctuary 8/20/14. I thought this was really a gorgeous bird. 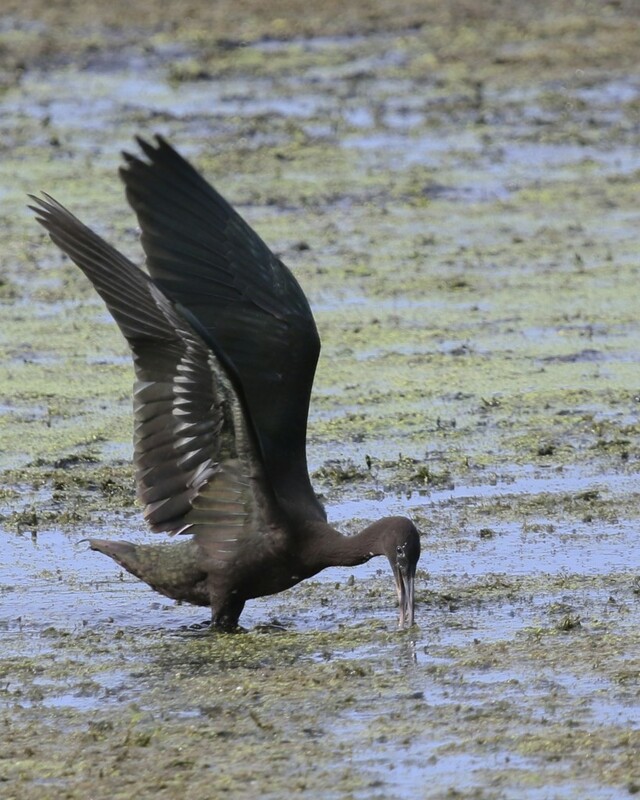 Glossy Ibis at 6 1/2 Station Road Sanctuary, 8/20/14. 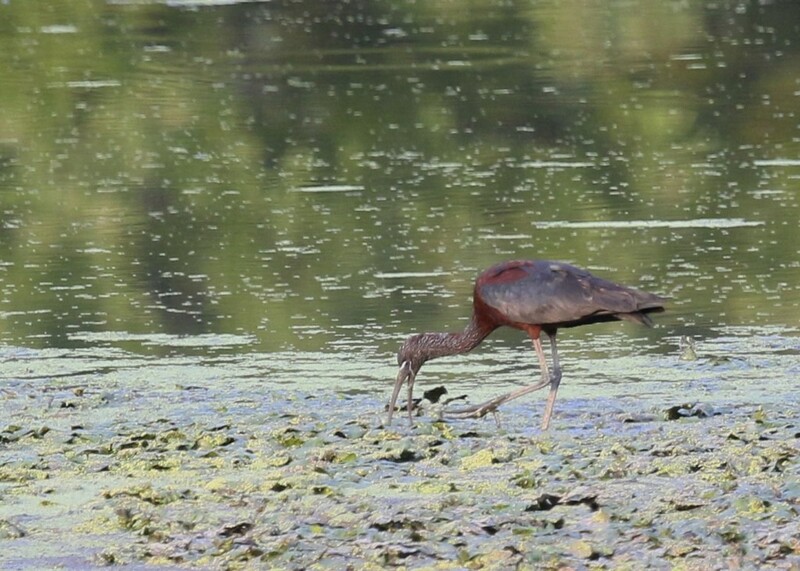 Little Blue Heron, Bullville NY, 8/19/14. Photo by Karen Miller. While we were in Harpswell, Maine, we kept seeing seals from the deck of “The Osprey’s Nest”. It was exciting to see them, but the looks were distant and usually brief. We rented a double kayak for the final three days we were there and after a trial run to test the waters, we ventured out – this time with the camera. 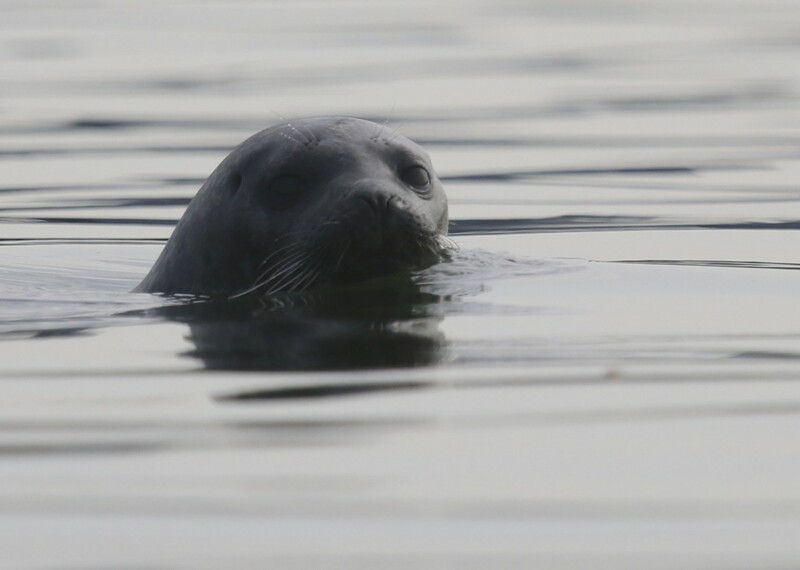 We talked to another kayaker who was spending the summer there; he knew the lay of the land and told us where we would likely find the seals. 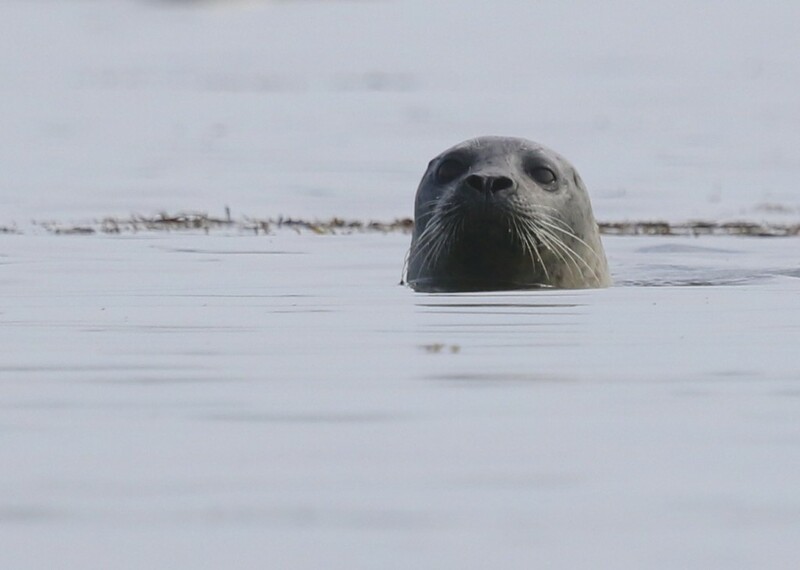 Well, we found the seals, and they found us too. They seemed very curious about us and one came in quite close for a look. After looking around on the internet a little, I am thinking that these are Harbor Seals. If anyone knows differently, please let me know! 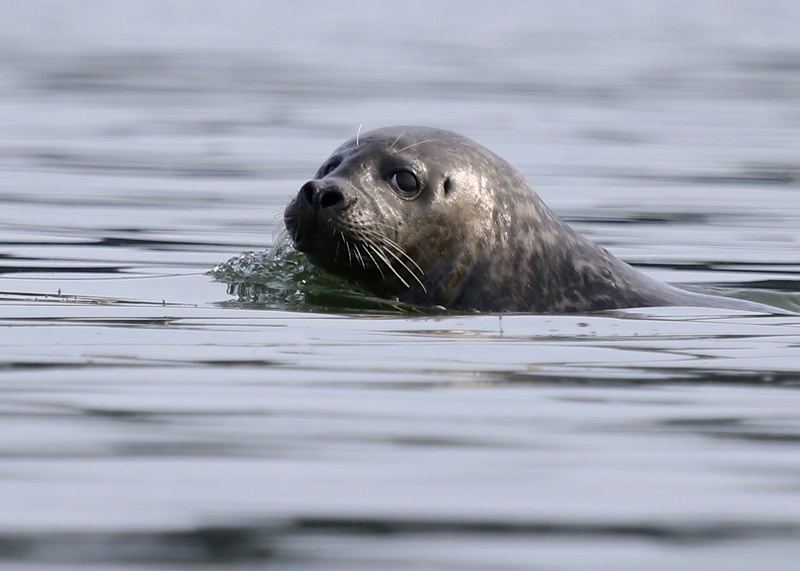 Author mattzeitPosted on August 17, 2014 August 17, 2014 Categories Uncategorized4 Comments on Maine 2014 – SEALS! 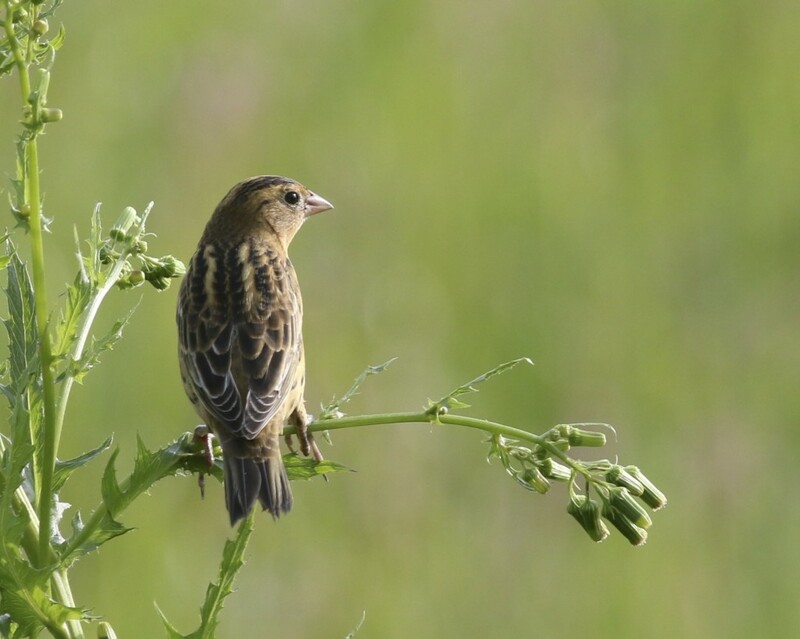 One of at least 40 Bobolink at the Liberty Loop, 8/16/14. I haven’t posted an Indigo Bunting shot in a while – really I haven’t taken any, but I couldn’t resist this one. Liberty Loop, 8/16/14. 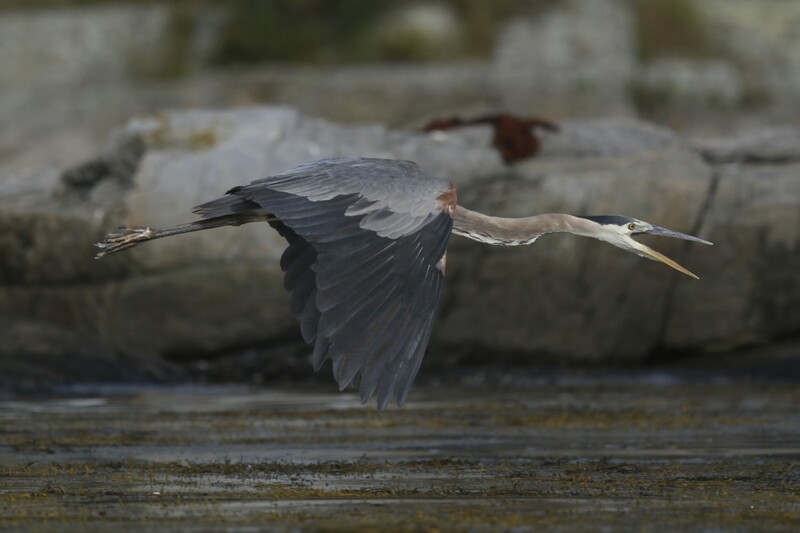 Great Blue Heron, flying and making noise. Cundy’s Harbor, Harpswell ME, 8/3/14. For our second week in Maine, Tricia and I rented a place in Harpswell. 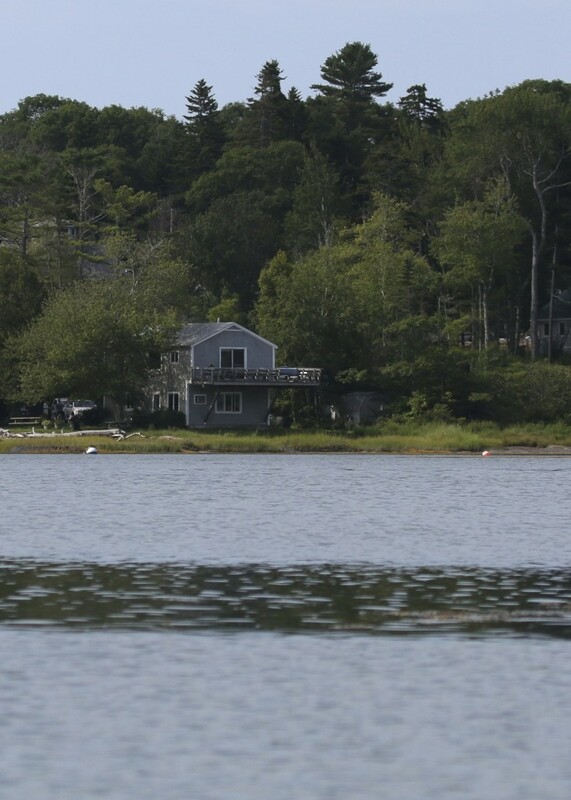 It was called “The Osprey’s Nest”, and it is the top floor of a cottage right on Cundy’s Harbor. There is a large deck that overlooks the water and kayaks can be launched right from the property. Also, and most importantly, it was a super birding location. It is hard to imagine the “yard list” you would come up with if you lived there – we had over 40 species in the week that we were there. I spent most of my birding time right on the deck, taking photos of birds, relaxing,and sipping a coffee (or maybe a beer or two). 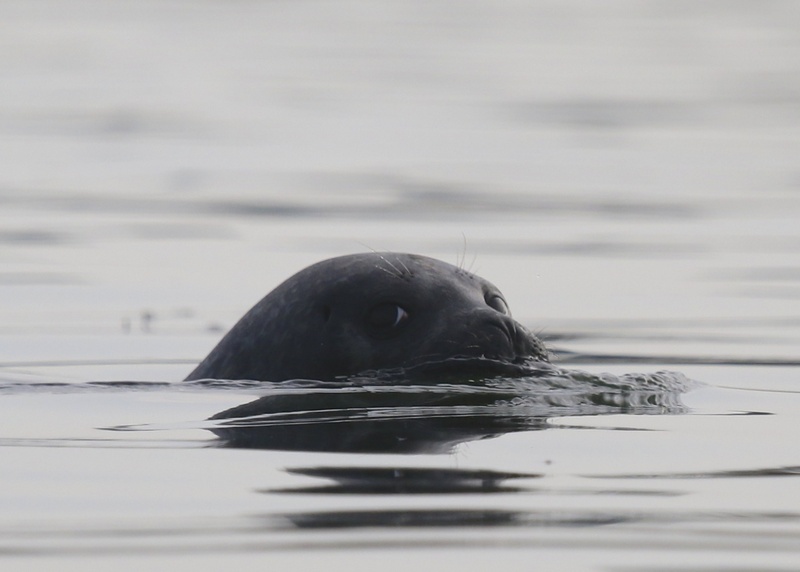 We also got out in a double kayak a few times and that provided some better photos ops, especially of the seals that we had been seeing from a distance. Here’s my list for the week and photos – some taken from the deck and others from the kayak. What a super place to stay! A view of “The Osprey’s Nest” from our kayak, out in Cundy’s Harbor, 8/5/14. 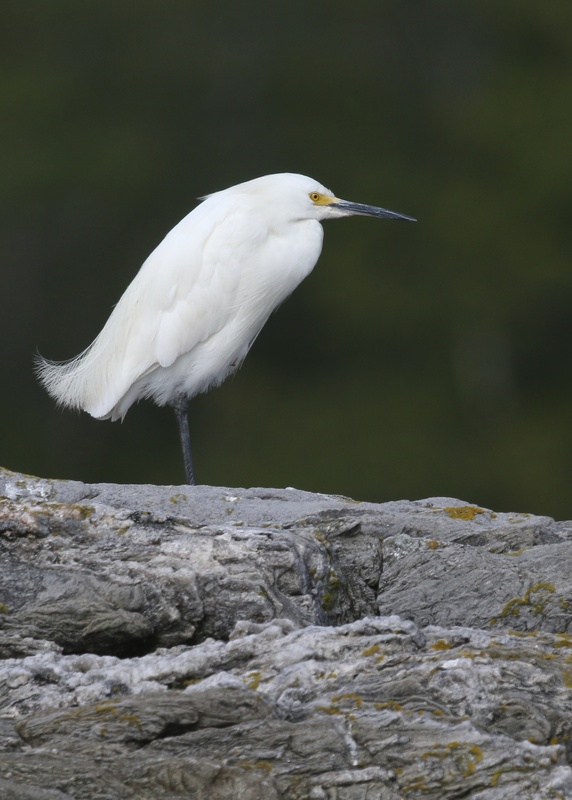 Snowy Egret while kayaking Cundy’s Harbor in Harpswell ME, 8/7/14. 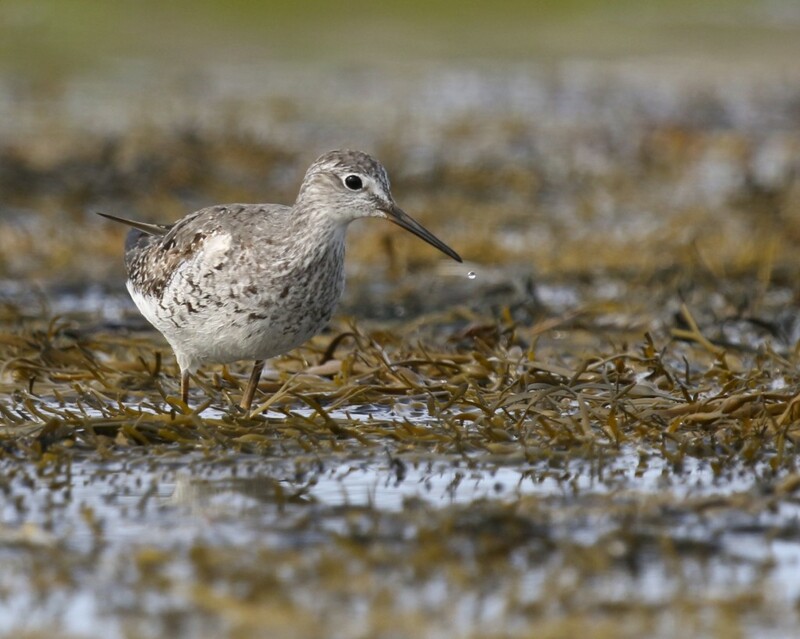 Lesser Yellowlegs while kayaking Cundy’s Harbor in Harpswell, Maine. 8/7/14. 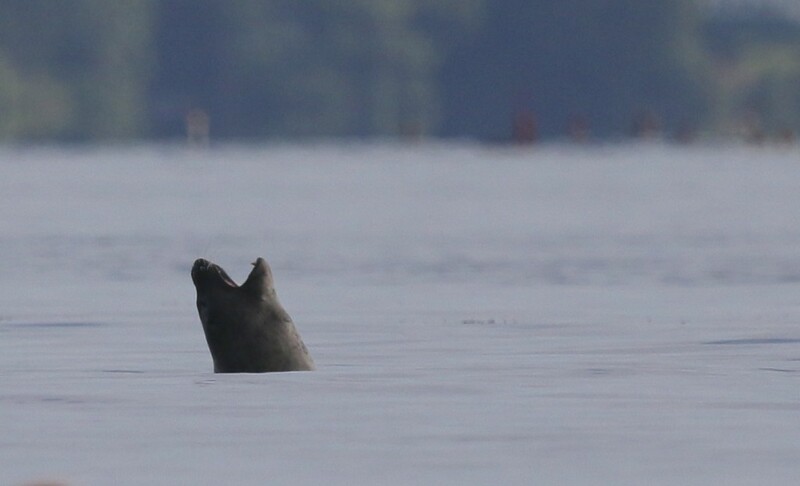 I am going to do a post about the seals in Cundy’s Harbor, but I couldn’t leave them out of this post entirely. 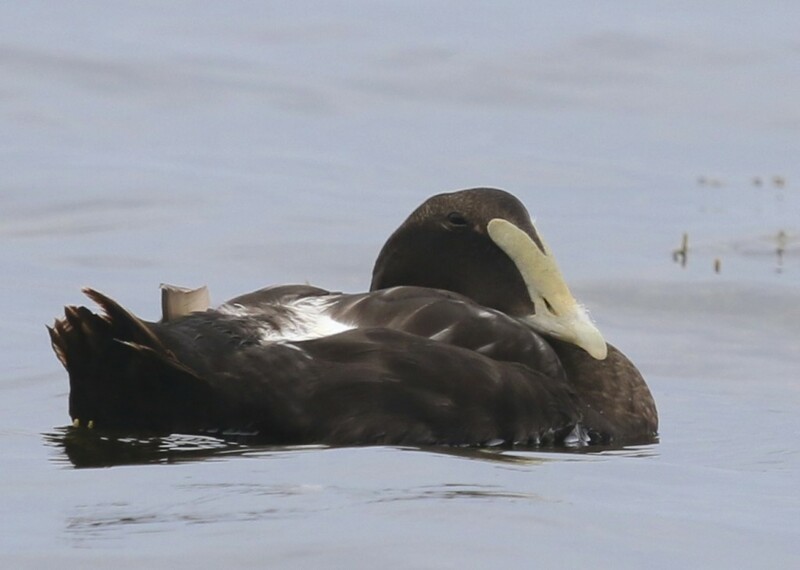 Common Eiders truly live up to their name on the coast of Maine – we saw many of these birds in the two weeks we were there. I never got tired of them. This was taken from the deck of “The Osprey’s Nest”, 8/5/14. I think this is a young Common Tern, shot while kayaking Cundy’s Harbor, 8/7/14. 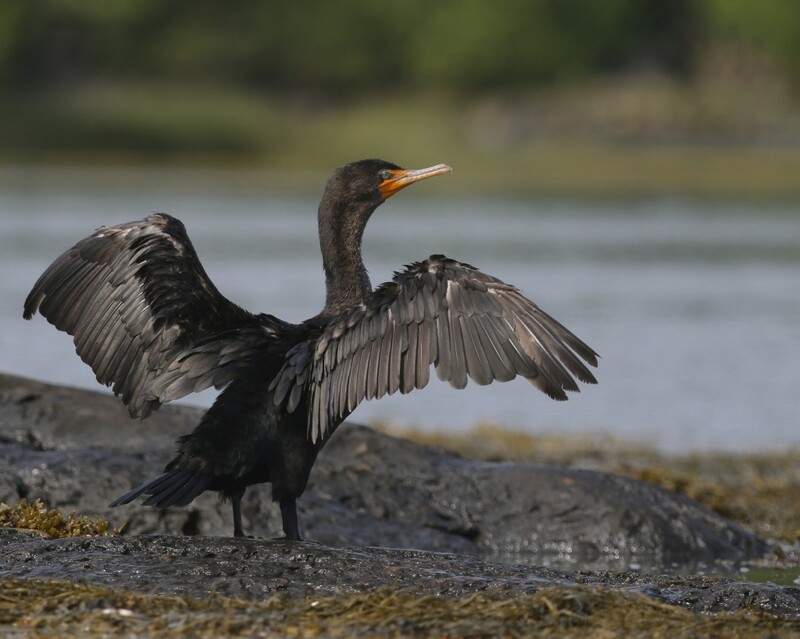 Double Crested Cormorants are also very numerous, but I did not have many photo ops. This one was taken while kayaking Cundy’s Harbor in Harpswell Maine, 8/7/14. This flock of Semipalmated Plovers visited us every day we were there. This was taken from the deck of “The Osprey’s Nest”, 8/8/14.